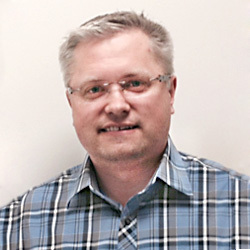 Andrey Karnauch has over 18 years of experience in the electronics manufacturing industry, including EMS manufacturing and operations management, engineering, quality assurance, documentation control, inventory, shipping and receiving, and planning and scheduling. Mr. Karnauch has extensive knowledge of the industry, having managed the conversion of a regional EMS company into a lean manufacturing facility that resulted in 50% reduction of work in process, 40% improvement in product throughput, and 20% reduction in labor—and doubled profitability. He has successfully orchestrated company-wide operations, and has significant experience improving quality and leading large-scale projects and process development. Mr. Karnauch recently completed a term as president of the Atlanta chapter of the Surface Mount Technology Association (SMTA). He is an IPC Certified Trainer with an American Science for Quality Six Sigma Green Belt, and has completed numerous training and development programs in lean management.